Changes should be coming to the Sierra in about a week to 10 days. However with all the cold air still trapped in the arctic, the storms headed our way are weak. In fact the Pacific born storms are all weak. We are about to conclude our driest December in the last 130+ years, with no measurable precipitation in the Central and Northern Sierra. Having said all of that, the changes that I have been forecasting are still en route, but ever so slow. GFS has a fairly weak system coming ashore around the 5th of January, however this system will die as it attempts to rise above the Sierra. Here is a forecast look for the 5th along with the total forecasted precip through the 10th of January. Again, without the cold air, we are not seeing storms of any significance. 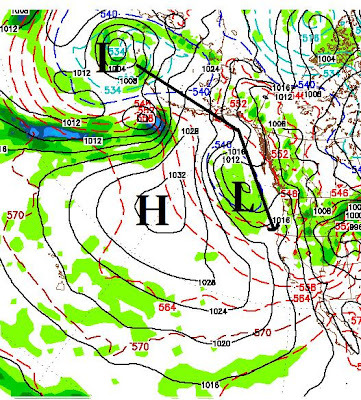 As I wrote in my last post, high pressure has been blocking anything from getting down to our area. However that ridge is showing signs of weakening and because of that it is being shoved south and west. 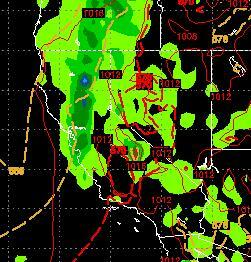 This is allowing small storms to come down the coast and have at least a minor impact on Tahoe. Moving forward, these storms will gradually pick up in intensity. It looks like the first big storm of the season will arrive here sometime between Christmas and New Years. 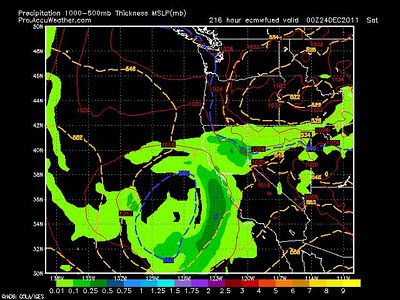 Both the EC and GFS long range models are showing signs of enhanced storm intensity. These storms are also moving much further south. Notice how this storm is still off the coast as it heads south. This is much more typical of an El Nino year than a La Nina year. Pretty much means you can throw the Nino/Ninas out the window this year. The stubborn high pressure ridge that has blocked all storms from sniffing our area is showing signs of moving south. That will open a large corridor for major storms to hit our area. However those storms will probably not start until around the Christmas Eve or Christmas Day at the earliest. 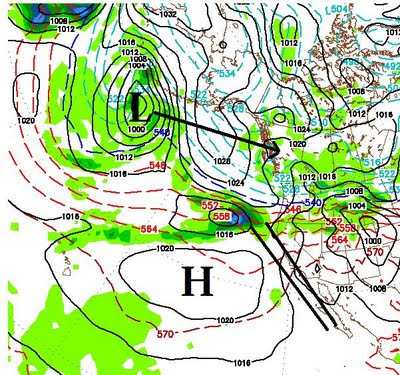 I have displayed two images below, the first is where the blocking high pressure ridge has been and is now. The second is the GFS forecast for where it will be around the 20th of December. 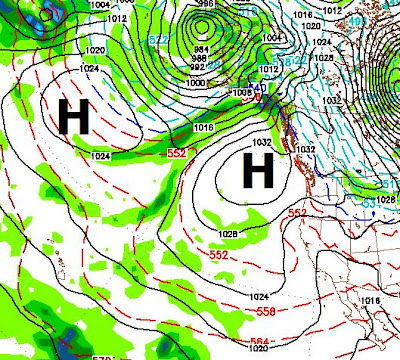 Notice that the high pressure ridge is much smaller and about 1,000 miles south. The next challenge is for that ridge to move a bit west and the storm corridor will be open, big time. I said this in my last post and I believe it is worth repeating. A typical La Nina year will not have as many storms but should produce an average amount of precipitation. 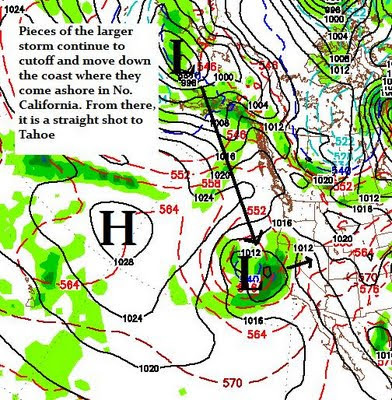 This weather pattern, if it holds true, is setting up for some giant storms to slam the Tahoe area around Christmas. Our slow start to winter will continue for at least the next couple of weeks and probably until around mid December. Currently we have two large areas of High Pressure that are blocking any activity from getting anywhere near us. The only action we will see are sliders that come inland well north of us and slide down the through Washington and Oregon. Traditionally, these storms bring little if any precipitation. However, they do bring cold weather. Look for cooler temperatures for the next 3 or 4 days then a chance for a big warm up as the two high pressure systems become one and totally dominate our weather. Travel should not be affected by the weather for the entire weekend. The Sierra, mostly north, will see some light snow between noon and 4:00pm on Thanksgiving day. After that the roads should be clear and driving conditions should be excellent. 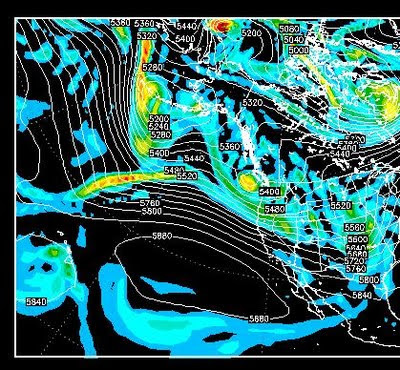 We have been in a frustrating pattern that has baffled the weather models and made weather forecasters look like babbling idiots, including yours truly. Having said all that, I have not been far off. I also search for storms that are way out and try to will them in. Not exactly scientific but many skiers and riders like that about this column ... something to possibly look forward to. I am currently enjoying 85 and sunny weather in Florida. I noticed that the weather has been summer like since I left town. The last time I left town was January. When I returned they were calling it June uary. Well, the good news is that I am coming home. The really good news is that we have 2 strong storms heading our way in the next 10 days. The first should be here on Friday and should last the weekend. 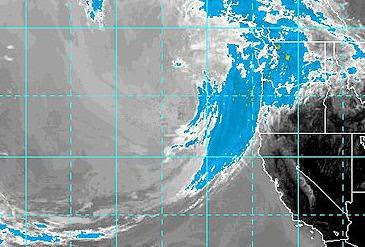 The next arrives the following Wednesday and looks like a giant storm. When I am back in my office tomorrow, I will fine tune this forecast. 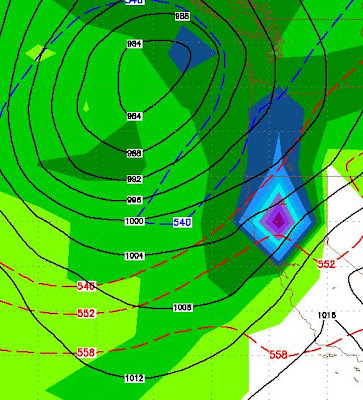 The larger storm for late this week that I have been tracking is going to slide down the California coast and make shore in Southern California next weekend. It will have little if any affect on our weather. That is the bad news. 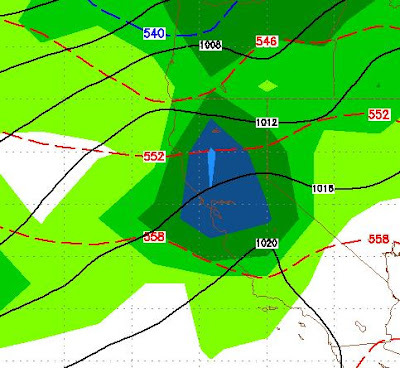 The good news is that it should open the door for a series of storms to follow in its path and hit the Tahoe area starting in about a week. The first of those storms should roll in mid day Sunday the 13th. 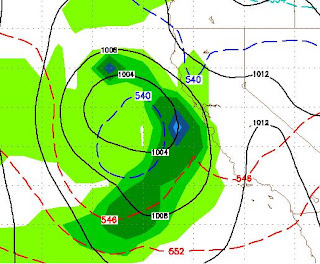 EC has this as a decent storm for our area while GFS has it breaking up and only having a minor affect on the area. I will keep a close eye on this. The next storm should roll in late in the week, around the 18th or 19th. GFS has this as a decent storm, EC does not go out that far. I will be traveling, but should have time to post an update this weekend. Right now it looks about 50-50 to having the upper mountain open by Thanksgiving. As the first storm in our 1-2-3 punch approaches, models are pretty consistent. The Sierra will pick up some snow but it will probably be amounts in the low range of my forecast earlier in the week. On the heels of this storm comes another for Sunday and Monday. Again, this storm looks as though it will develop a north to south trajectory and snow amounts again will fall into the lower range. To fine tune the forecast, I am now looking at about 1-2 feet of snow by Monday evening, likely in the lower range. Tonight the changes begin with a deep cold front dropping down to our east but hitting our area with strong winds and much colder temps. 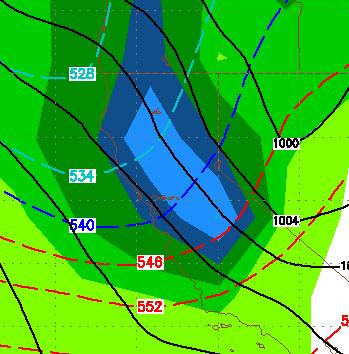 Thursday Night / Friday: Strong trough drops in and dumps 6-18 inches in Sierra, slightly lesser amounts for Carson Range. 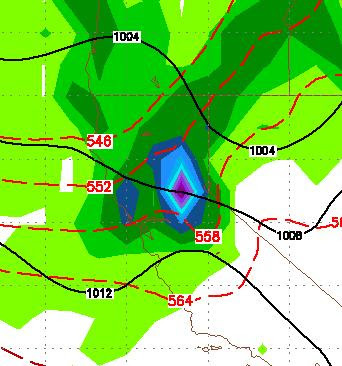 Sunday Night / Monday: Similar storm drops another 6-18 inches for both Sierra and Carson range. 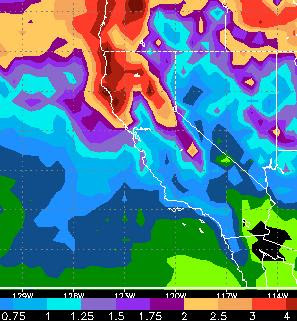 Wednesday / Thursday: Stronger storm drops 1-3 fee for both Sierra and Carson. As advertised, winter almost here. I will continue to update these storms as they approach. Take this into consideration when driving over mtn passes! Pondo could be spinning in a week. If all goes well ... who knows? The beauty of living here is that between the stormy days we usually have nice weather. Since mid-June, we have had only a couple of stormy days and very nice weather. However, it is that time of year when we can expect the storms to start dropping south again and pummeling our mountains. Fall has been beautiful, but that is about to come to an abrupt halt! Nice is a relative term. However that is what we are going to get. Very mild weather with lots of sun and no storms. There is an indication that the pattern could change toward the beginning of November and I will keep an eye on that. Until then enjoy the beautiful fall weather. We will get ours, it is now just a matter of time! Looking down the road, our weather is going to turn mild and sunny starting Saturday and lasting for what looks like a couple of weeks, at least. Expect daytime highs in the mid-70's to possibly low-80's. So take the golf clubs back out and enjoy. This rain should have been very beneficial for the mountain bike trails as well! Next time you hear from me, I will have a storm in sight! 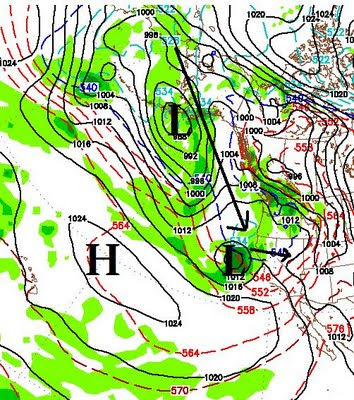 The coming storm will bring some real serious December/January like weather to the Sierra and leeward valleys. Most areas will see some snow and the Sierra will pick up 1-3 feet of snow, depending on elevation. That is up from my prediction of 10-20 inches yesterday. Unfortunately, this appears to be the last storm for at least the next 2 weeks. The models are in surprising agreement that high pressure will move in and keep the storms far to our north. I guess the golf season continues ... Stay Tuned. Ok, about time I got back into this thing. I know under my roof everybody is looking forward to winter. This weekend will see a weak low pressure system to our north sneak some cool and windy air into our region. However next week is looking beautiful. There have been some changes over the last few months, highlighted by the emergence of La Nina (Yes, she is back) in the Equatorial Pacific. That has caused a number of long range forecasters to predict an early start to winter, in some cases very early. This satellite picture is unheard of this time of year. Enjoy the cool weather while it lasts as summer is coming in full force as the jet will shift far to the north allowing much warmer air to come into the Northern Sierra. Temperatures could reach 100 by the beginning of next week in areas like Reno and Carson City. Mother Nature willing, I can now go back to hibernation. It is going to be hot this week. It is going to be really hot next week with high's in the upper 90's or above. So if you are waiting for the warm weather, your wait is almost over. "Lake Mead has a 50 percent chance of becoming unusable by 2021, the scientists say, if the demand for water remains unchanged and if human-induced climate change follows climate scientists’ moderate forecasts, resulting in a reduction in average river flows." "Lake Mead Could Be Within a Few Years of Going Dry, Study Finds"
Wow. The foothills of Reno picked up nearly 3 inches of rain over the weekend. 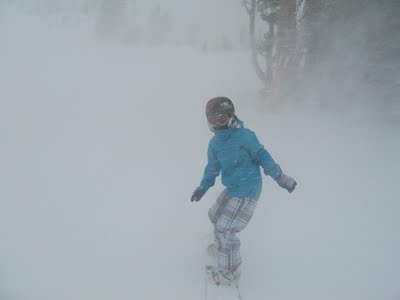 The upper elevations of the Sierra picked up 5+ feet of snow. The Carson Range, west of Reno, probably picked up in the 4 foot range. Truly an amazing storm for June. As of 9:30am, we still have heavy to moderate snow in the upper elevations (8,000+) of the Carson Range. That will be winding down late this morning. There could be some wrap around moisture, but for the most part, this should mark the end of winter. Sunday at noon has brought a brief reprieve from the last 24 hours of rain. However, the low pressure system is about to make it's move. It appears that the heaviest precip will now come just north of Lake Tahoe. 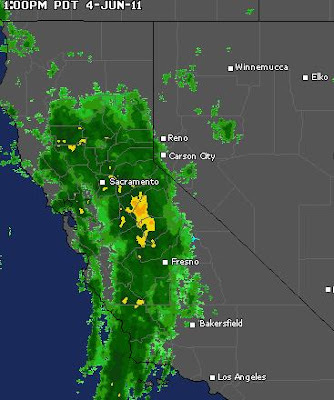 Reno could see an additional inch of rain, tonight and tomorrow morning. The rest of the forecast remains the same. Summer coming with mid-70's by Thursday, followed by upper 80's and low 90's the following week. I am going to summit Slide Mountain in about a half hour and will report on snow levels. Tomorrow could be an epic day if snow levels stay below 8,000, which is expected. Slide Mountain is right in the path of the heaviest precip. 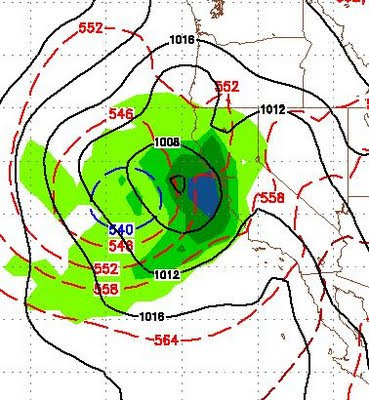 Not much has changed as the large storm is stationary off the Northern/Central California coast. The NWS is increasing it's precip totals in areas further south, which includes the Tahoe Basin. Snow levels should be around 8,000 feet until Sunday night when the real cold air comes in on the back side of the low. They will then drop down to 6,000 feet. The NWS will issue a Winter Weather Advisory for the Sierra Starting very early Monday morning. Finally, here is a look at the projected precipitation totals. 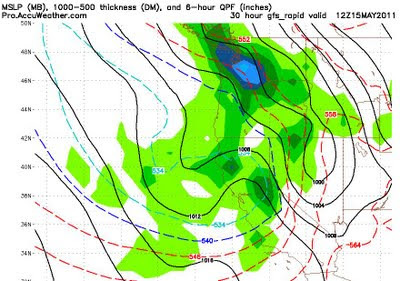 Some parts of California are going to pick up 4+ inches of liquid precipitation. This map has Tahoe in the 1-2 inch range, but I think that is low, especially over the crest of the Sierra, which could be looking at 2-4 feet of snow. As our temperatures hover around 20 degrees below average and our mountains continue to get pounded with snow, the overwhelming majority of people (including my 9 year old daughter) are asking, "When will winter end?" If you read the links of my last post, you saw that the stars aligned for a very turbulent winter this past year. That weather continues and will continue for about another 7-10 days, at least. About the middle of next week, our temperatures should rebound and get close to average for this time of year. For you drought mongers and global warming enthusiasts your silence in deafening. I have to admit, I do not remember a May like this one. Last night's storm was a little disappointing. However, it appears as though the Northern Carson range may have been the big winner with around 6 inches of snow. Today another storm is on the doorstep and will bring us even more snow. With the big hit coming in late tonight and lasting through tomorrow night. Some areas of the Sierra could pick up another 3 inches of liquid precip on top of the 3 inches they have received since Saturday. The winds are coming too, starting late morning. Looking ahead, Friday will be the only near normal temperature day for the next week or more, as we will remain in this stormy pattern. Another unseasonably large storm is going to slam the Pacific NW and may have an impact on our weather starting Saturday night and lasting through Monday. 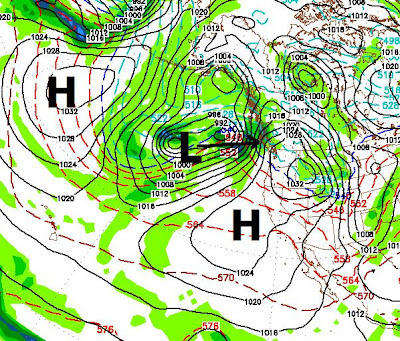 The blocking ridge of high pressure will try to make a recovery. The models are now backing off of the high pressure system moving south. In fact by the end of next week they have it dominating the entire west coast. So expect more of the same. That stormed moved over the mountains and dumped in Reno too. I guess what I am saying is that the winter winds down, the potential does exist for one or two more pretty good sized storms. In fact, I would be surprised if that does not happen. Here is a look at early next week, notice the the blocking high has moved well south and the storm track is now back in Northern California ... More later. 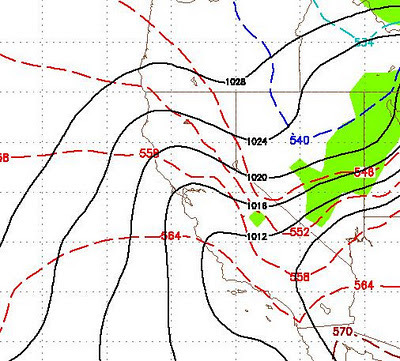 You can clearly see the blocking high pressure system. We are right on the edge of the block which is why we are getting an occasional wind storm. That will not change. Expect minor disturbances Tomorrow and Thursday. I do not see any major storm activity. However there are some signs that the blocking high will eventually move on, which may open the door for more energy to hit our area. We are moving from a La Nina back to an El Nino. I will talk about that in the coming posts.